It’s no secret that San Francisco’s white-hot real estate market means buyers are making due with smaller suites. Currently, the median size of a new one-bedroom suite in San Francisco is 691-square feet. Compare that to Seattle, where a new construction one-bedroom condo is typically 760-square feet, or Manhattan, where the median is 796-square feet. But that doesn’t mean the market is a stranger to spacious suites. 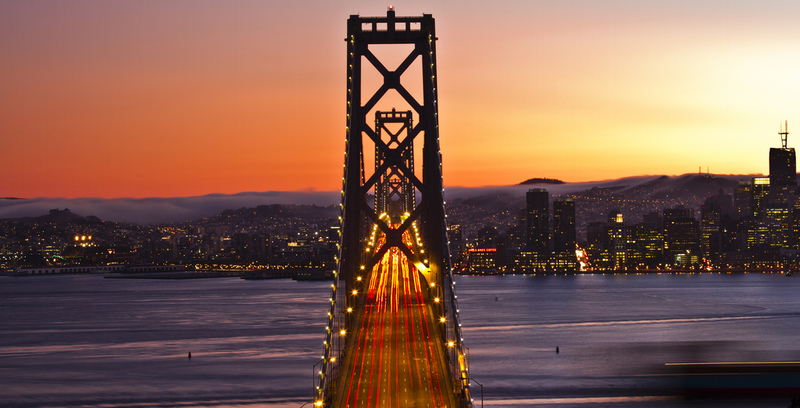 We looked into our Market Snapshot data for San Francisco to see which new developments are bringing a whole new level of big to the market. Amero, a project by Trumark Urban, handily takes top place for the development with the bulk of the biggest new construction condos on the market. That includes the largest new suite for sale in San Francisco, a 2,442-square foot penthouse. PH-7E features two bedrooms, a den, two bathrooms and a walk-in closet. The other expansive suites in the building include the other top-level suites, PH-7F, PH-7G, and PH-7D. 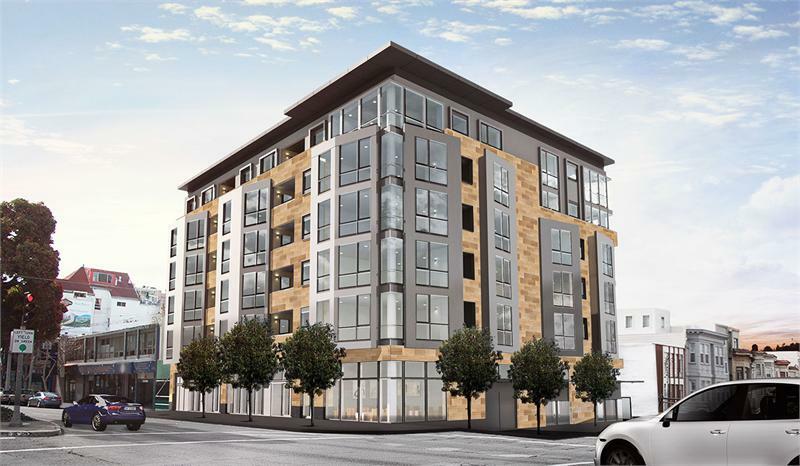 The 27-unit condo and townhouse development is situated at 1501 Filbert Street in Cow Hollow. All of the units feature at least two bedrooms and start from 1,040-square feet and $1 million. South of the Amero, 1645 Pacific is a 39-unit project with suites that range in size from 613 to 1,840-square feet. The bulk of the units feature 2.5 bedrooms, including the largest available suite, 6E. In addition to the bedrooms and the mega-sized living room, the unit also comes with sizeable balcony space. 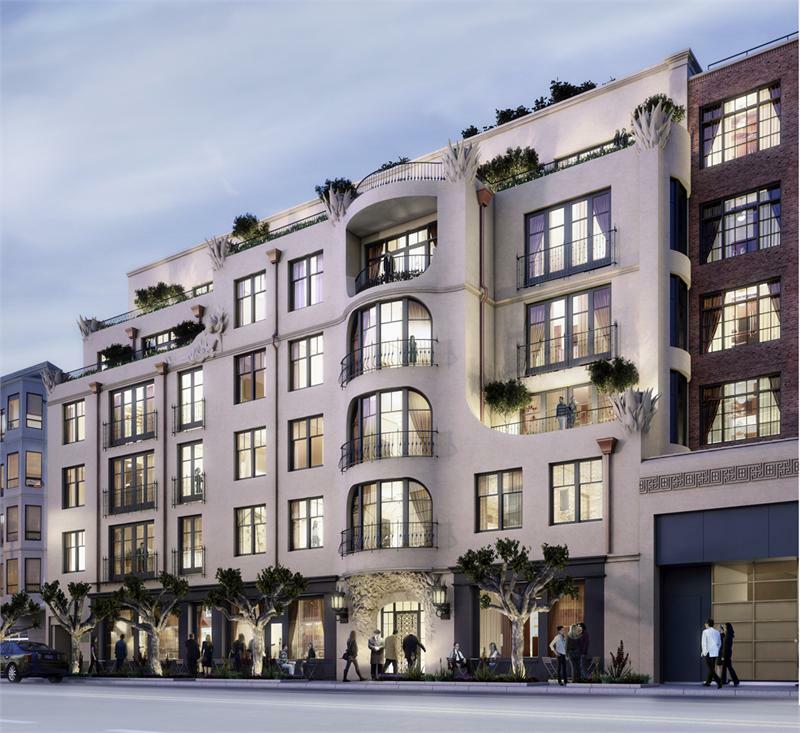 The residences sit above three boutique retail spaces and the structure will incorporate part of the original facade, a structure that dates back to 1907. The 8-storey, 47 unit building is located at the entrance to Hayes Valley. 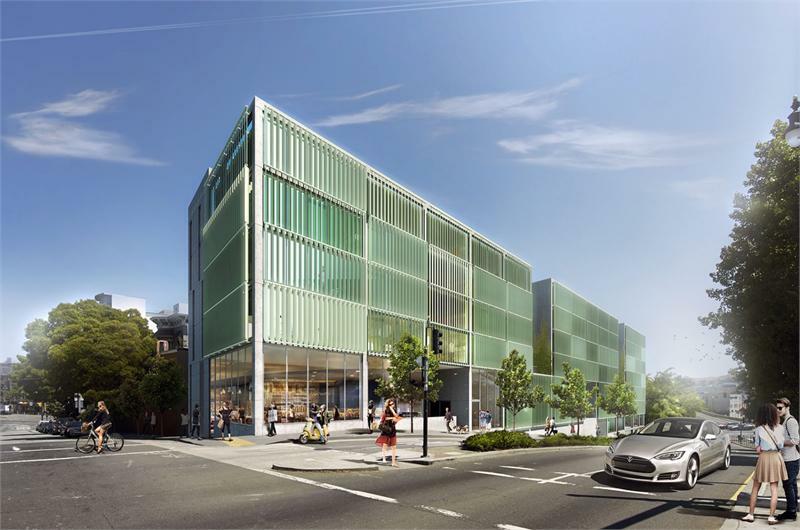 Architect Stanley Saitowitz is behind the design, which features a louvered facade that reinterprets the early modern architecture for contemporary San Francisco. The suites for sale in the structure start from 705-square feet, one-bedroom units, but get up all the way to 1,757-square feet in size with three bedroom layouts. The units are priced between $739,000 to $1,295,000.